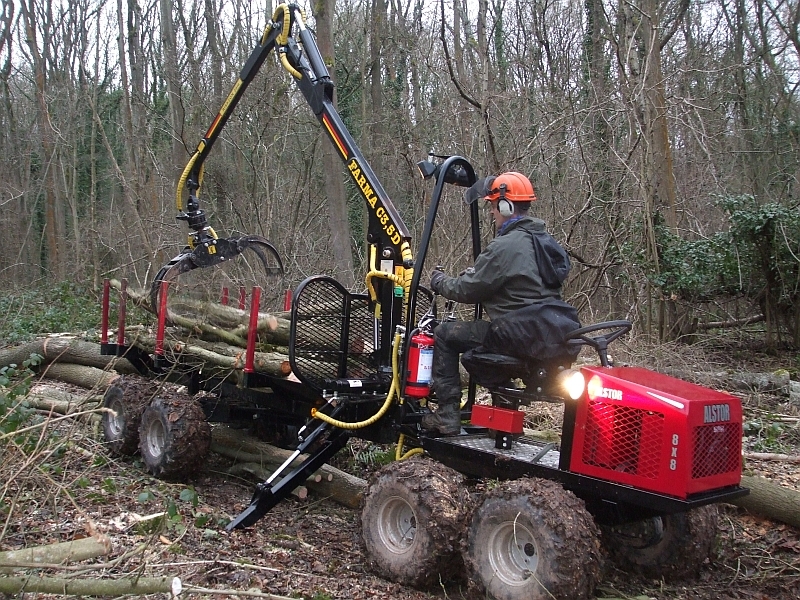 The Alstor 8x8 is designed to be used for Forestry, Utility and Environmental Companies, to gain access to difficult or sensitive areas. The Alstor 8x8 is an 8 wheel drive, low ground pressure machine, with excellent terrain capabilities. The Alstor 8x8 is a multi concept machine with various load bodies available for different working environments. Forwarder model with timber trailer and log loader, tipping body to carry aggregates and loose items, chipper body to crane feed and chip timber, etc.